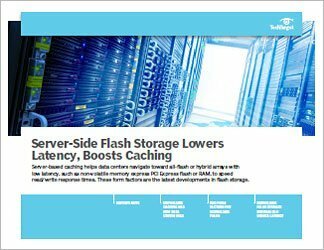 If you're using a flash-based storage system, you're familiar with caching and tiering to accelerate data. 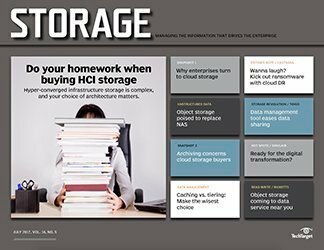 Storage tiering is used in hybrid flash storage systems to separate active and inactive data. Active data is kept on the flash tier, while inactive data is moved to a less-expensive storage tier. If the data becomes "hot" once again, it is moved back to the flash tier. Because data only lives on one tier at a time, tiered architectures need to have some kind of redundancy built into them. In caching, data is copied or mirrored from one tier to another, so active data is on multiple tiers at the same time. If the active data is no longer needed, the cache will just create flash space for new data sets to use. Vendors implement tiering technology in various ways. 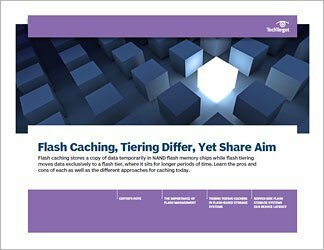 Some even have a "flash-first" approach that puts all data on flash before it is moved to a hard disk tier to become inactive. Users therefore have to be careful not to overprovision flash in these environments. 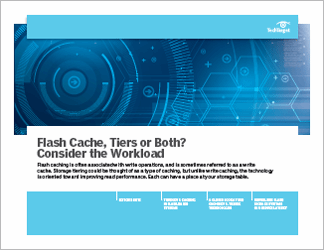 The decision to use tiering or caching depends on a variety of factors, such as the number of applications that require access to high-performance storage resources, the I/O patterns of these applications and your budgetary constraints. Learn when to use each of these technologies in your own environment.